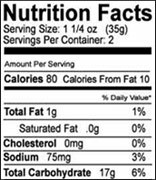 Nutrition labels now have saturated fat, trans fat, monounsaturated fat, and polyunsaturated fat listed. What are each of these? Which are the good fats, and which are the bad ones? cholesterol, but raise your good cholesterol. Nuts, olives, avocados and canola oil are all good sources. POLYUNSATURATED FATS ARE ALSO GOOD: They lower bad cholesterol as well as your chances of getting heart disease or diabetes. In fact, they're even said to help lessen asthma, arthritis and depression symptoms. Impressive! The famous omega-3 fatty acids fall in the polyunsaturated category. Fish, walnuts and almonds all contain polyunsaturated fats. SATURATED FATS ARE BAD FATS. They're found mostly in animal products like meat, full-fat dairy, eggs, seafood and butter. These unhealthy fats are notorious for raising cholesterol and should be avoided as much as possible. TRANS FATS = BADNESS. When it comes to fats, trans fats are the worst of the worst. These artery-clogging fats were actually invented to lengthen the shelf life of packaged foods. Processed foods (like chips, cookies, margarine and ice cream) contain trans fats. The good news is, lots of food manufacturers are taking the trans fats out of their products. For example, Oreos, Triscuits and some brands of margarines have recently done so. Got it? Good! When I rinse my canned beans, do I get rid of a lot of sodium? Beans are great for tossing in chili & burritos, or topping off a salad. They're delicious, super-filling, and good for you! Canned beans are a great source of fiber (they have a whopping 5-8 grams per half cup! ), protein & iron. Unfortunately, as you know, canned beans (like other canned foods) contain a lot of salt. Back to the question -- the answer is YES. Experts say that rinsing canned beans washes away about 40% of the sodium. So, continue that bean-rinsing by all means. Hungry Girl Tip: Want to take in even less sodium? Look for No Salt Added versions of your favorite canned beans. These less salty legumes pack in far less sodium than the regular kinds do. And if you rinse those babies, you can get rid of what little sodium they do contain. About 20% of all calories you take in throughout the day should come from fat. Have a question for Hungry Girl? Send it in! She answers select Qs every Wednesday. **ATTENTION AOL MEMBERS!!! Many of you did not receive yesterday's email. In case yours didn't get to you, here's a link to it. Click it! It was a good one...about GUILT-FREE CHOCOLATE DONUTS!